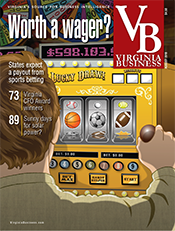 The Shenandoah Valley is no one-trick pony. Over the years, the region has leveraged its strong agricultural assets to build a diverse and stable mix of business and industry. 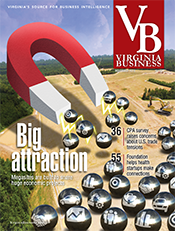 That mix was evident last year, when corporate investment in the Shenandoah Valley Partnership region totaled more than $200 million and the promise of nearly 600 new jobs. That doesn’t include ITFederal’s plans to set up shop in Warren County, a $40 million project expected to create 600 jobs. The company plans to complete construction of three buildings on the former Avtex site in 2018. In October, Gov. Terry McAuliffe helped cut the ribbon on Andros Foods North America’s $73 million expansion of its Mount Jackson fruit processing facility. The investment, believed to be the largest in Shenandoah County’s history, will allow the company to increase production capacity of its fruit pouch products to between 40 million and 50 million pounds annually. The expansion is expected to create 160 jobs during the next three years. The plant already employs more than 600 people. 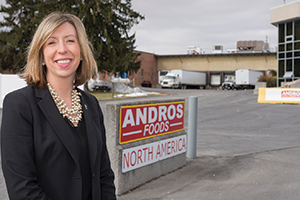 Since France-based Andros Foods acquired Bowman Apple Products in 2011, the facility has doubled in size. 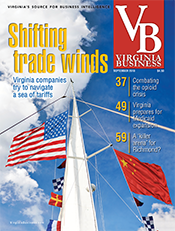 Thierry Jean, CEO of Andros Foods North America, says Virginia’s support of agriculture and the availability of fresh fruit sources were important factors in the company’s decision to locate in the commonwealth. 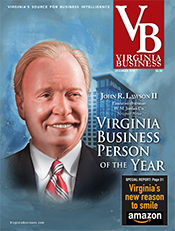 “The people in the Shenandoah Valley know food processing and distribution,” Jean says, adding its proximity to interstate highways and the Virginia Inland Port in Front Royal make the Mount Jackson location ideal for future expansion. “This makes for an excellent base for attracting associates to work at Andros Foods NA,” he says. Another Mount Jackson food processor, Route 11 Potato Chips, is increasing production with the help of a state grant. The need for additional capacity was behind the company’s move from an old feed store in Middletown to a custom facility in Mount Jackson in 2008. The 2007-09 recession, however, delayed the decision to add a second line until last spring. “Now we’re at a point where we can’t afford not to do it,” says founder and co-owner Sarah Cohen. Route 11 annually cooks up about 5 million pounds of potatoes in small batches and then adds its seasonings to produce varieties such as Dill Pickle, Chesapeake Crab, Sweet Potato and Mama Zuma’s Revenge. 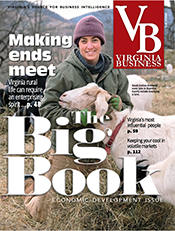 The company received $50,000 from the Virginia Agriculture and Forestry Industries Development Fund and a matching grant from Shenandoah County to jumpstart the expansion, which will create 13 jobs. One of the requirements of the grant program is that a company source at least 30 percent of its products from Virginia farmers. Meanwhile, Virginia Poultry Growers Cooperative is investing nearly $62 million during the next three years to construct an 80,000-square-foot turkey processing facility in Hinton in Rockingham County. The expansion will be supported by additional investment in the company’s feed mill in Broadway and its grain elevator in Linville. “ This expansion will incorporate the very latest technology into our processes,” says John A. King II, the cooperative’s general manager. 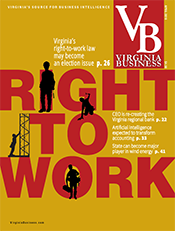 Formed in 2004, Virginia Poultry Growers is the eighth-largest turkey processor in the United States and one of the largest suppliers of organic and antibiotic-free meat. During the past decade, the cooperative has expanded significantly and now employs about 565 people. Another Rockingham County producer, Shenandoah Growers, has added a new 78,000-square-foot nursery greenhouse and other technology in its current facility in Rockingham County to meet increased demand from major grocery chains for its farm-fresh herbs. In addition, the company has purchased an existing warehouse and office facility in Rockingham for its new headquarters. 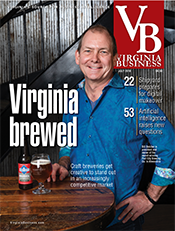 Owner Tim Heydon says the benefits of the expansion will be felt throughout the region, as Shenandoah Growers’ local facilities are expected to generate an additional $15 million in sales during the next three years. 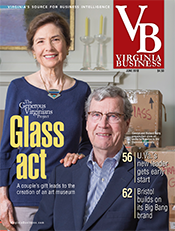 The increased sales will have a significant effect on the companies that supply Shenandoah Growers. The valley’s warehousing sector also saw significant investment in 2015. FedEx Ground is building a new distribution center in the Green Hills Industrial Park in Staunton. The facility will measure more than 200,000 square feet on approximately 30 acres. The new center will replace an existing center in Fishersville and is part of a nationwide FedEx network expansion to boost daily package volume capacity and enhance speed and service. The project is scheduled for completion this summer. In northern Shenandoah Valley, Threshold Enterprises, a distributor of nutritional supplements and natural health and beauty products, has opened a new East Coast distribution center in Frederick County. 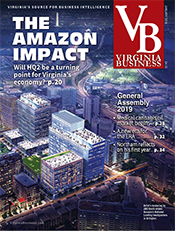 The 78,000-square-foot warehouse in the Stonewall Industrial Park is designed to enable faster delivery times for the company’s East Coast customers, who previously were served by Threshold’s facility in Santa Cruz, Calif. 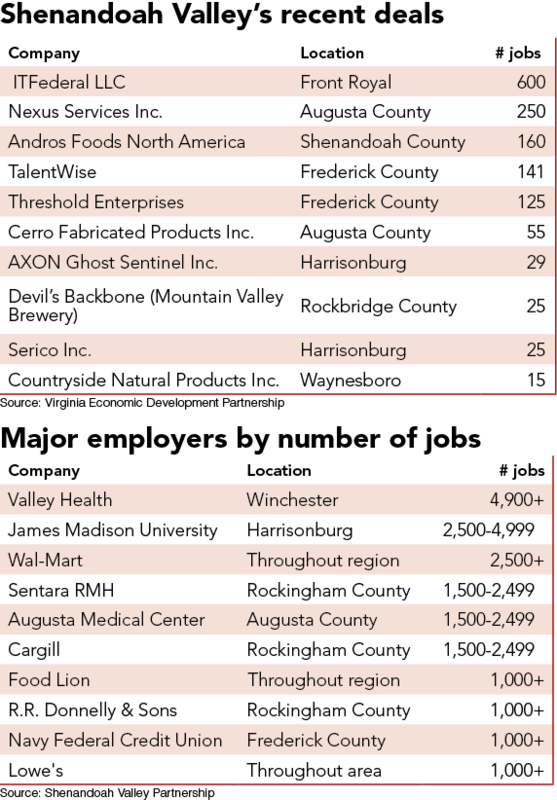 In 2015, Nexus Services, the nation’s largest provider of services to immigrant detainees, relocated its corporate headquarters to the Mill Place Office Park in Augusta County and began combining its various business interests there. The company’s $22 million investment is expected to create about 250 jobs during the next three years. “We are fortunate to employ exceptional people, and Augusta County will provide an incredible place to raise their families,” Mike Donovan, president of Nexus Services, says. Nexus provides GPS tracking of its clients, helping secure their release from incarceration on civil immigration bonds and guaranteeing the government that they will appear at future court hearings. In addition, Nexus operates a nonprofit called Caridades by Nexus, which provides scholarships, money for community initiatives and pro-bono legal services in communities where its clients work and live. Technology, along with the growth of the valley’s colleges and universities — including community colleges and technical centers — is allowing for a new workforce to develop and thrive in the area, Chenery says. 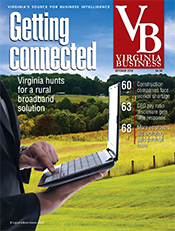 AXON Ghost Sentinel invested $1.5 million last year to expand its operations in Harrisonburg. The company uses artificial intelligence to protect computer networks — in sites ranging from point-of-sale systems in stores to the systems that will operate driverless cars — from hackers, viruses, malware or other computer bugs. Its products identify and classify abnormalities in real time. The company’s clients include government and corporate networks. 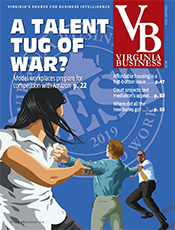 “The possibilities for business growth and industry sectors are no longer so narrow or confined when the Information Age allows for success at essentially any location,” Chenery says.